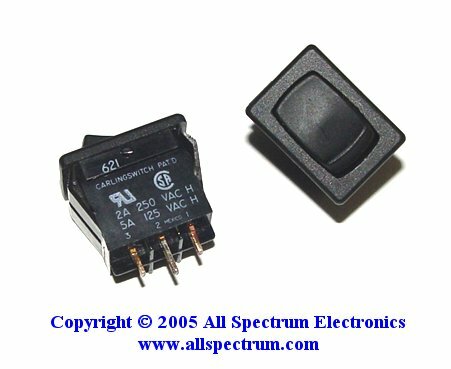 SPDT, Momentary Switch, 2A 250VAC, 5A 125VAC. Fits 0.5" x 0.7" cutout. Manuf: Carlingswitch.